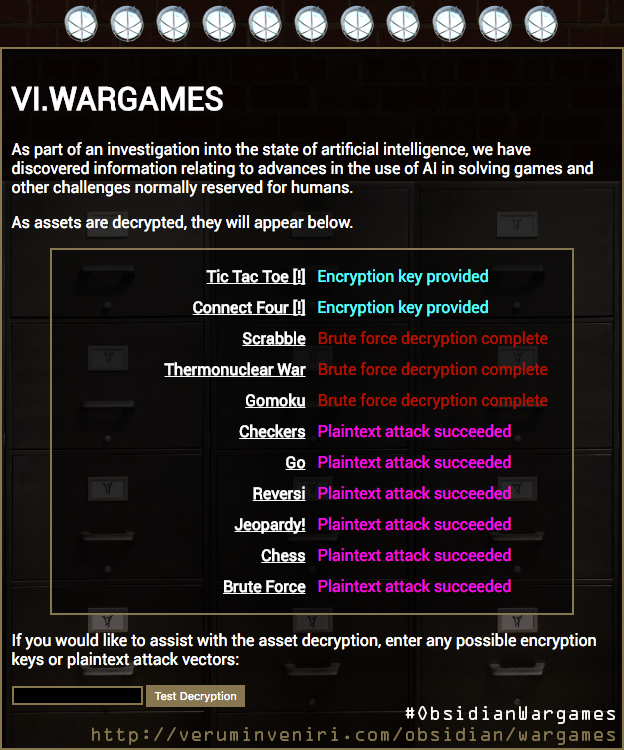 All #ObsidianWargames challenges have been located. Agents, can you find the important assets buried within? Note: Challenges with a [!] have additional data that may help to find the solution.